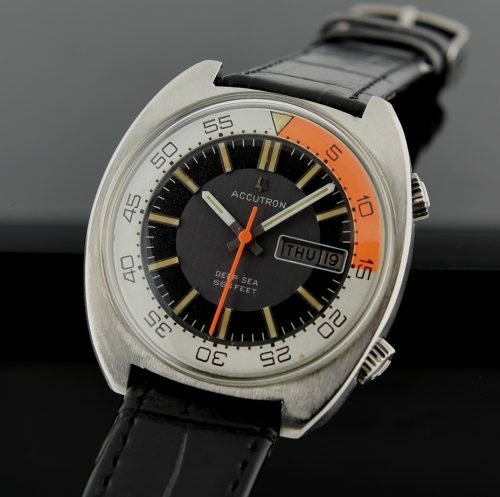 This is a large and vibrant (all original) Bulova Accutron Deep Sea 666 feet. The colourful dial, turning bezel and signed Accutron winding crowns are original, displaying very fine condition. The BULOVA ACCUTRON battery operated watch is accurate afterd a recent cleaning. This is a prominent looking watch on the wrist. 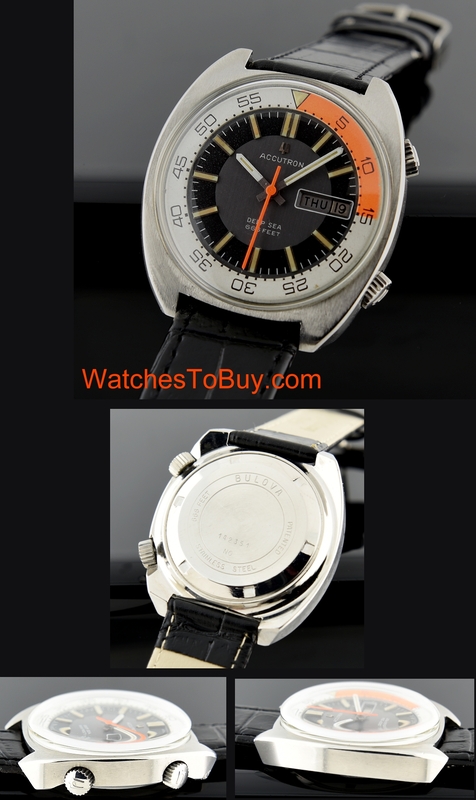 These exotic watches exemplify the styling of the 1970’s. You are going to love it. $895.